Abrasion of teeth refers to the loss of the protective layer of the tooth structure the enamel due to external mechanical forces. Due to this the gingival margin recesses and the dentin is exposed so there are more chances of tooth infection. It is the pathological wearing of dental tissues or dental restorations by friction with foreign substances independent of occlusion. Abrasion can be caused due to varions foreign objects, most common is due to toothbrush mainly because of faulty tooth brushing technique. Let us explain in detail the various causes of Abrasion and list out some important points regarding each cause. This is the most common cause, it contributes to almost 90% of the abrasion cases. It is not the Toothbeush but because of faulty brushing technique. Brushing using a hard toothbrush and the use of excessive force while doing only horizontal strokes is the main cause. This is becuase of any habits like tobacco, pan, betel nut etc, on continuous chewing can lead to abrasion. 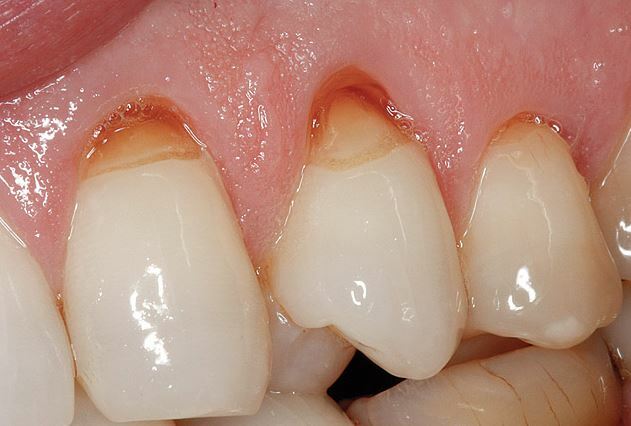 Abrasion is seen in habitual Pipe smokers near the incisal edges of upper and lower anterior teeth. Habitual chewers on objects like pencils in case of students, bobby pins in case of tailors etc lead to Abrasion. Incase any clasps to hold RPD in place is exerting unwanted pressure on the cervical region of the tooth over a long duration of time, it will lead to abrasion. This was seen in earlier days in tribes in Africa,where teeth were wantedly chipped to get the appearance of abrasion. These were superstitions which are now long gone. Abrasion is a ‘v’ shaped or wedge shaped horizomtal cervical notch on the buccal surface of the tooth in the cervical region. The notch presents sharp angles at the edges and the middle has shiny dentin surface. Most common teeth having cervical abrasion are the Canine and Premolars as they are more prominent bucally and get more strokes while brushing. Sensitivity is the most common complaint by patients due to opening up of the dentinal tubules. In case of right handed persons, the left side is more affected and vice versa. Maxilallary teeth are more commonly affected compared to Mandibular teeth. Gingival recession is most commonly associated with abrasion. Proximal Abrasion is caused due to fauly use of tooth picks, floss etc. Abrasion in the initial where the lesion has extended only till the enamel does not need any treatment, except for training in proper tooth brushing technique. 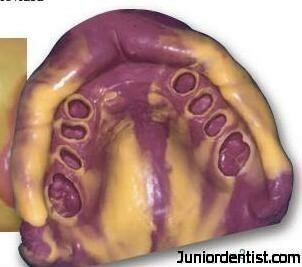 In case of sensitivity with the dentin involvement, restorations like GIC and Composite are done. This will prevent further damage to the tooth and restore its proper form and function. Proper Tooth brushing technique should be shown to the patient as well. In extreme cases where pulp is exposed, the only option is to perform Root canal treatment and then fill the abrasion with composite or GIC.